One question I'm asked regularly is "What items must I have in my wardrobe?" 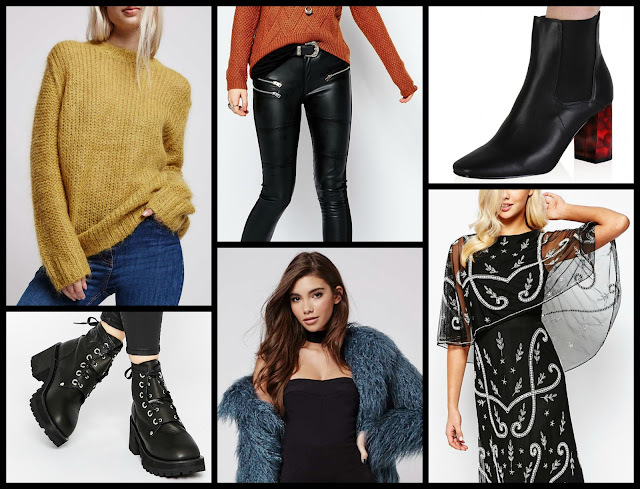 and while I think it completely depends on the individual (lifestyle, taste, budget), I thought it'd be a good idea to round up some staple pieces a winter wardrobe should consist of (IMO). I have a love/ hate relationship with winter dressing; I love layers and wearing OTT furry coats but I also hate the process of de-layering and sweating come 2pm when the weather warms up. Interchangeable pieces are key when buying a winter wardrobe and being clever with what you spend your money on is crucial. You don't need to spend a heap of cash on things like vests, leggings, hats, scarves etc but spending that extra few bob on some of the staples I've mentioned below should sort you out for the frost and will hopefully last you into springtime. This is a no-brainer but finding 'the coat' for the cooler months ahead is your No.1 goal here. Whether it be a woollen androgynous coat or a faux fur dream-ball, there's a huge range of winter coats on offer this season for all styles, sizes and climates. I tend to look for heavy coats that are padded or super-fluffy for extra warmth and I make sure to layer wisely underneath. It's essential to invest in a good coat, as it'll be lasting you for the entirety of winter and will realistically last you for many winters to come if looked after well. I'd recommend spending at least €50 on one or looking for a well-made/ trustworthy brand of coat in a vintage or secondhand store if you don't have the budget. I love a good sweater; they go with everything and anything, they can be rolled up into your bag and thrown over any outfit. I tend to be an all-black wearer but I do admittedly own various sweaters in a range of colours. I tend to invest in designer sweaters also, as they wash well and last longer. I recommend owning at least 3 staple sweaters in your wardrobe: one 'good' one and two inexpensive ones that you don't mind scruffing up for lazier days. They're my go-to piece for college, events and everything in between and aren't too bulky to wear under big coats. Nothing beats a good pair of trousers and when I refer to trousers I'm talking about cute trousers, not "slacks". The trousers I tend to opt for during winter are usually high-waisted (super-flattering and snug), check print or faux leather and slightly cropped. There's incredible selections of styles and cuts out this season on the high street and online. Alike to sweaters, they can be dressed up and down and a simple change of a coat or shoes can bring you from day to night. 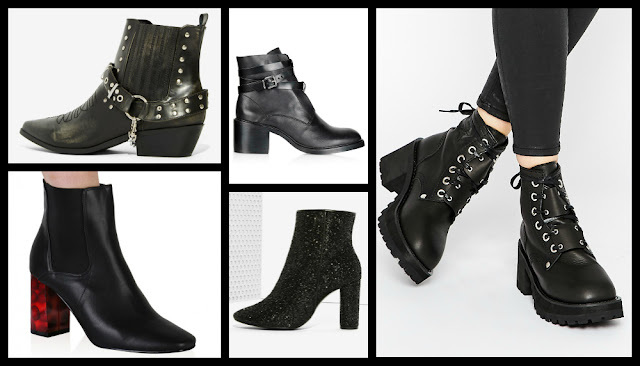 Chunky boots, trainers and brogues look amazingly well with cropped styles in particular. They're also way cosier than jeans - trust me. We all need that show-stopping outfit that'll bring us from party to party over the holidays. The party dress is a winter staple but it's usually hard to sift through what's on offer to find 'the one'. The 70's are still a huge trend this season, along with Victoriana - particularly in the dress department. Most styles will be floor-length so be wary if you're on the petite or tall side and look to the high street for lengths and cuts made for you and your shape. Try and opt for a dress that can be easily accessorised a handful of ways so you can get away with wearing it more than once or twice. The loves of my life are black boots. My bedroom is being taken over by them and every winter it's tough trying not to run wild in every shoe shop and buy every. single. pair. of them. Black boots go with anything - they can be worn informally or formally and there is a pair out there for absolutely everyone. Investing in a good pair of leather boots will get you through all kinds of weather, present buying trips and occasions. Choose a style that you know you'll definitely be able to walk in and style up with your existing wardrobe already. Look at reviews of the boots if possible if you're buying online and see what other customers say (this is particularly great if you're weary about sizes etc).